Let me start by saying I cannot believe this giveaway you guys. I mean I WISH I could enter! It is just too good! Not even kidding. Pattern & Yarn: One of my FAVORITE people who I met on Instragram is Kelly of Knit Brooks. I am constantly inspired by her work and her love of nature. This is her extremely popular Cocoon Sweater which is the perfect transitional accessory as we exit summer into Autumn. It is lightweight, breathable and works up super quick. You get the pattern AND as always, the blog will provide yarn to make it. WHAT? YUP! Mug: Of course you need fuel for your project so why not enjoy your coffee or tea in this awesome handmade Peace, Love & Yarn mug? I had the awesome opportunity to meet Amanda of Pawley Studios at Stitches Midwest over the summer. She is pretty rad and has a fab collection of yarn bowls and fun fiber themed mugs. I love me some fiber themed mugs so I snagged a few and she has offered up this one for this giveaway. Project Tote: Well, you are going to need something to carry your awesome fall project around while you work on it right? Molly from Spearmint Spruce is offering up one of her handmade masterpieces. Let me tell you, I own one of these. I got it on sale in her shop and it's now my favorite tote on the planet. The craftsmanship is superb. The pockets are perfect. And it hangs at just the right height. Don't want to wait to win? Use code GIVEAWAY10 for 10% off in her shop! Crochet Hook: If you follow me on social media, then you have seen this amazing ergo friendly hook from Too Shay Crochet Hook. Everyone asks me about it. I love it. I love it so much I bought a whole set. It feels great in my hand and is just a perfect piece of art to work with. You will win a hook in the size needed for this project. Handmade artistry to create your own art. You just can't beat that! Like I said, hot dang this is a killer prize pack. Open world-wide. Don't miss out. Enter below to win all this. But seriously - can I enter too? I don't have kiddos but so many of my friends and members of our community do that I thought a little "Back To School Hustle Giveaway" seemed appropriate. This is a good one too. Mug: Of course you need fuel for your project so why not enjoy your coffee or tea in this awesome Hustle mug? This was the mug that helped launch this blog and now it can be part of your collection. It is one of my faves. HUSTLE Bracelet: Keepsakes by Katie was part of my holiday Shop Small suggestions. Last year I got everyone personalized Keep bracelets and watches or key fobs. Perfect gifts and of course I nabbed a few treats for me. Now YOU get a Keep bracelet to help encourage you to stay on your hustle every day. Pattern & Yarn: One of my FAVORITE artisans who I discovered and met on Instragram is Nicole of Naturally Nora Crochet. This woman has got some talent with a ball of yarn I tell you. I am constantly in awe of her work. This Alana Tee will not only be a perfect project for you to make but ideal for your little one to wear. 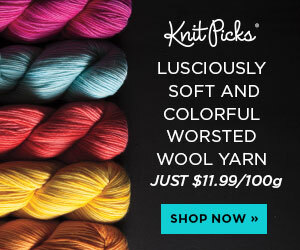 You get the pattern AND a $20 gift card to Knit Picks for the yarn to make it. WHAT? YUP! You can read a bit more about Nicole here on the OML Blog too. Children's Book: I got to meet the awesome Paula of Knit Baah Purl at Stitches Midwest and she has this awesome children's bedtime book. A Sheep's Tale. So wind down the day with a story for your little one. Who loves summer projects? I know I do! One of my favorite things to do in summer is pack up my project tote, grab a blanket and picnic on the front lawn with the dogs. Something about being at home and outside is the best of both worlds. With that in mind, we have put together quite the fabulous July Project Giveaway. Pattern & Yarn: One of my most popular designs is my Molly Four Way. It is perfect for transition from season to season. Wear it as a shawl, a scarf, a sarong or a wrap. 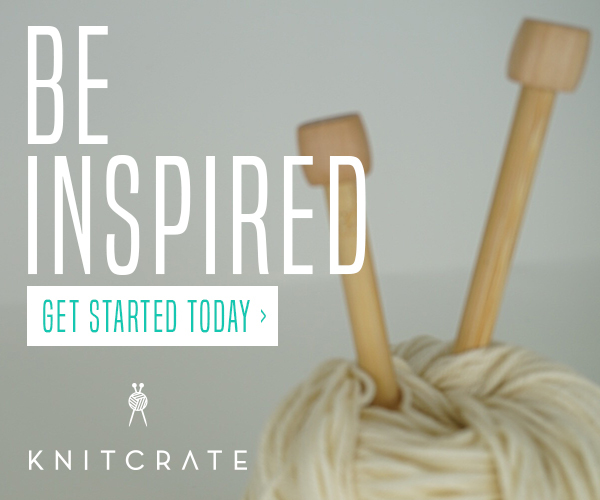 Now you can make your own because you get the pattern AND the yarn to make it! Mug: Of course you need fuel for your project so why not enjoy your coffee or tea in this awesome mug? I start every day with a fresh cup (or pot) of coffee in one of my favorite fiber arts inspired mugs. Now you can have your own from Cluck Cluck Boots! Project Tote: Well you are gonna need to carry your project around right? This AWESOME tote from That Darn Yarn Co. is so cool. It is bigger than most totes and what I love the most about mine is the long straps. That is a super cool feature. Hook: We all have our favorite hooks and notions. Some of mine are from Clay Bean Co. Kelli even made me an awesome set of donuts stitch markers which I am madly in love with. You will get this ergonomic hook in the appropriate size to work up your new Molly Four Way.